I am preparing an album for Billy Ray with some of his special people so that he can take it to the hospital with him. He is having surgery on the 21st for his GERD. 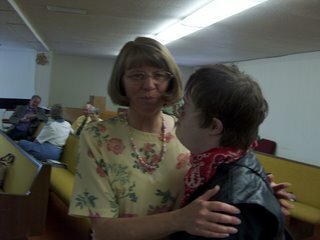 Here are two of the pictures I took Sunday at church. He isn't feeling well so they aren't the best pictures of him but they clearly show eye contact and I wanted to share. This first one is with Denise, our pastor's wife. Denise is very special to Billy Ray and very insightful at supporting our family. When Billy Ray was in the hospital a year ago she even brought him a wonderful large stuffed dog knowing he couldn't have his service dog there. It was used mightily to comfort him and even to support his IV's. 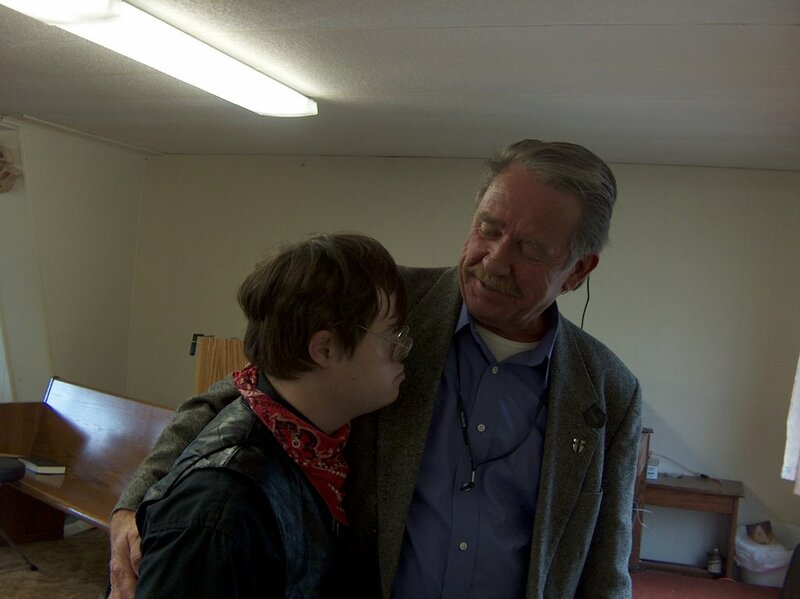 This is Billy Ray with Dave who is a great friend and support both to our family and my work. Dave kept telling Billy Ray to look at me while I took the picture but Billy Ray just wanted to look at Dave. By the way we all call him Dave but for some reason BR refuses and insists on calling him David. Awesome photos Peggy Lou:) Billy Ray is surrounded by such a loving community and an awesome Mommy. Please keep us posted when Billy Ray has his surgery. You both are in our prayers each night and in our thoughts. It feels like a million dollars when K.C. locks eyes with me if only for a second or two. I love those moments! Autism is definitely an increasing issue for children & parents who care for them. For those looking for new information related to ADD, autism, Preschoolers, toddlers & kids activities. Please check out our website as well as great blogs like this one!